Vinnie doesn't live a typical teenage life. His dad works away from home and his mother needs a lot of help, so he can't see his friends after school or at weekends. 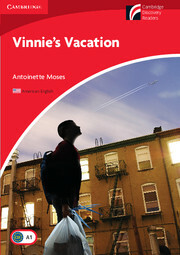 Then Vinnie sees a competition – a chance for his family to take a break. But the competition changes Vinnie's life more than he could ever expect.